It’s just possible that someday people will look back at what happened Friday night at the University of Chicago’s Logan Center and say: I was there. [September 7, 2018] Augusta Read Thomas' bold new venture at the University of Chicago When composer and University of Chicago professor Augusta Read Thomas launched the well-titled Ear Taxi Festival here, in 2016, she appeared to have reached a personal high point. [August 14, 2018] A bold first season for U. of C.'s contemporary music center First seasons don’t get much bigger, smarter or more multi-dimensional than this. [April 30, 2018] Big Brains Podcast: Augusta Read Thomas Big Brains is a new University of Chicago podcast in which some of the pioneering minds from across UChicago discuss their groundbreaking ideas and the stories behind them. This 30 minute long program features Paul M. Rand interviewing the composer, offering a glimpse into the creative process of a world-class composer, the state of classical music today and how Augusta helps train the next generation of composers. 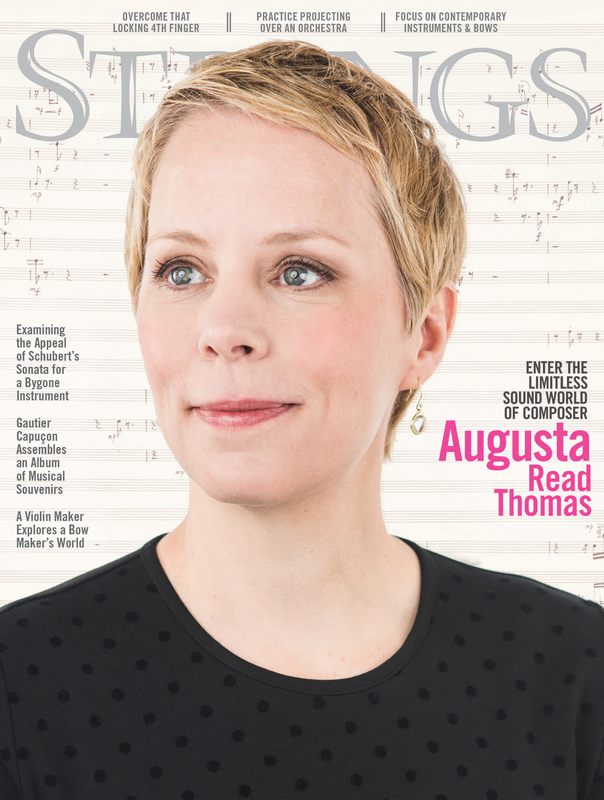 Strings Magazine: "Enter The Limitless Sound World of Augusta Read Thomas" "No matter how gloomy you may be feeling about the state of the world, it seems impossible to come away from an encounter with Augusta Read Thomas without a surge of fresh hope. 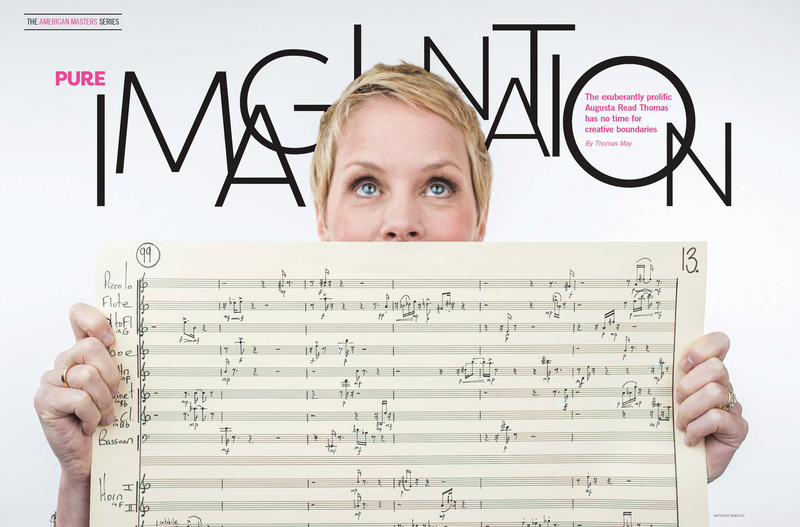 The Chicago-based composer radiates an exuberance about music’s inexhaustible potential that is both powerful and infectious. And she has been channeling it for decades into a vast, ongoing body of compositions that represents one of the most remarkable achievements of contemporary American music: a unique vision of the poetry of sound that is at the same time anchored in an exquisite attention to craft and technique." "A joyous affirmation of commonality across world cultures" "Although Sonorous Earth draws some of its musical materials and its movement titles from Resounding Earth (a 2012 piece for solo percussion Thomas wrote for the Third Coast group), so greatly has she expanded the concept and structure that it feels like an entirely new work. Here one encounters the tintinnabulations of the earlier piece in a different context. What once felt ritualistic and intimate now is big, bold and public — a joyous affirmation of commonality across world cultures. Each Third Coast player — David Skidmore, Robert Dillon, Peter Martin and Sean Connors — precisely timed his gestures to those of his colleagues and the responsive orchestra under artistic director Scott Speck. The audience awarded the composer and performers a clamorous ovation." 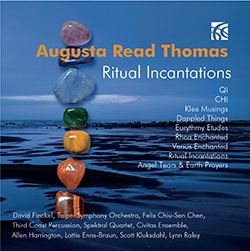 CD Augusta Read Thomas - Ritual Incantations will be released on November 3, 2017 The new Nimbus Records release, Augusta Read Thomas - RITUAL INCANTATIONS (Nimbus Alliance NI 6355), is the seventh in a series presenting the music of the eminent American composer Augusta Read Thomas. The disk includes seven world premiere recordings of recent compositions. 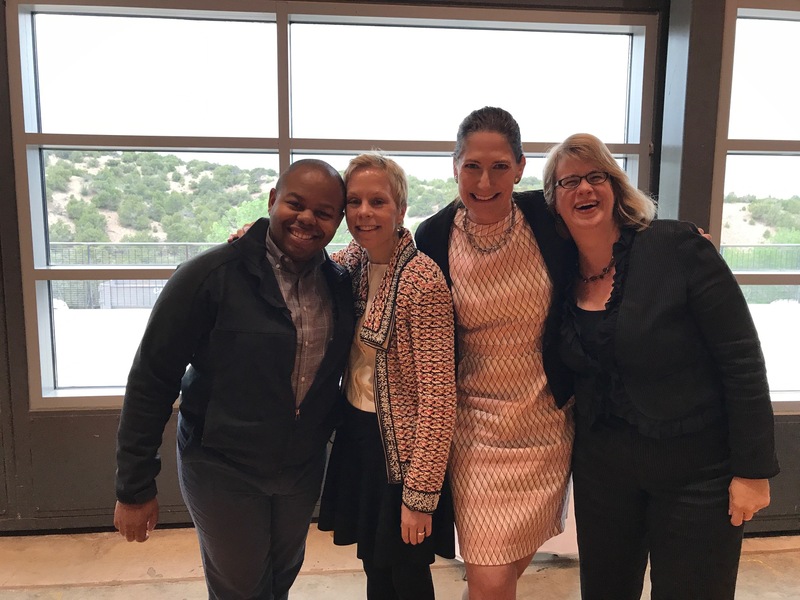 Her new opera will receive its world premiere in 2019 at the Santa Fe Opera. 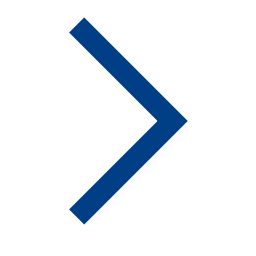 This project is made possible by generous funding from the Melville Hankins Family Foundation and The Andrew Mellon Foundation. March 20, 2017: Richard Whitehouse, Gramophone "What this gave to Thomas’s music from the outset was its clarity of conception and precision of gesture (whether in the briefest of instrumental miniatures or in large-scale orchestral works), which act as the focus for her often intricate textures and iridescent harmonies – thereby ensuring that her work exudes an immediacy and a communicativeness whatever its degree of complexity and dissonance." 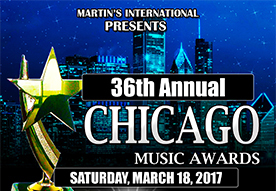 January 18, 2017: Augusta Read Thomas is nominated for the 36th Annual Chicago Music Awards Augusta Read Thomas has been nominated for the upcoming 36th Annual Chicago Music Awards (CMA) in the category, BEST CLASSICAL ENTERTAINER. This special milestone will be held on Saturday March 18th, 2017 at the Stephen M. Bailey Auditorium, 1340 West Washington Blvd. Chicago, Illinois 60607. Visit chicagomusicawards.org or facebook.com/chicagomusicawards to vote, get early tickets and more. “No one else in local classical music came close to matching, let alone surpassing, what Thomas achieved with Ear Taxi… Thomas created the kind of forum for conversations across many genres Chicago had never heard before,” the Tribune article states. 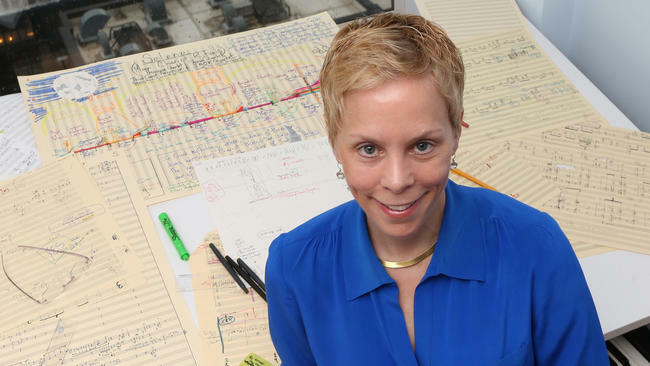 "A passionate sense of purpose informs everything the Grammy-winning Chicago composer Augusta Read Thomas does in music. It is central to her organizing, directing and co-curating the Ear Taxi Festival, by far the largest festival of contemporary classical music in the city's history." H.S.H. 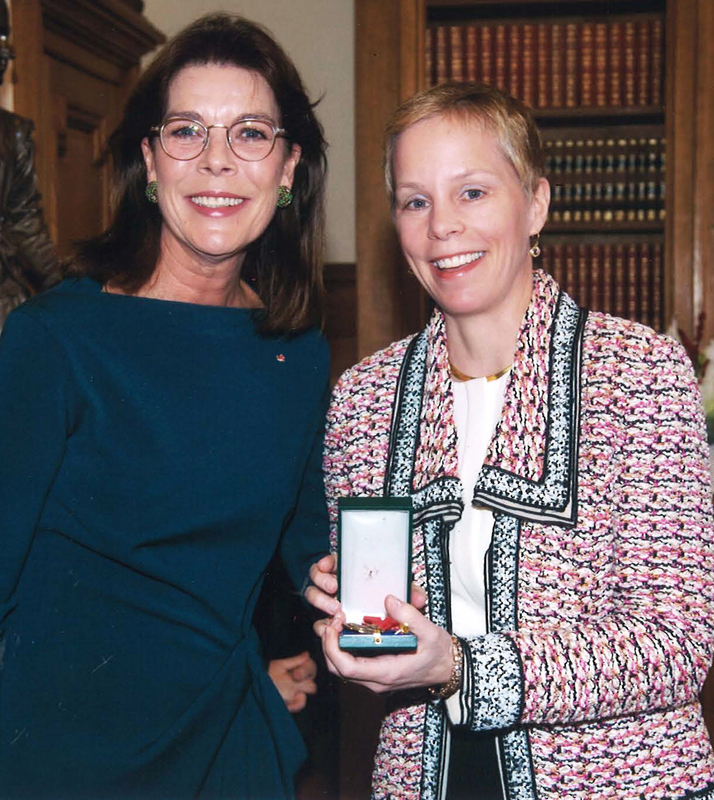 the Prince Albert II honors Augusta with the Cultural Medal of Monaco The Sovereign Prince of Monaco awarded Augusta CHEVALIER of the Order of Cultural Merit. The insignia of this distinction was given by S.A.R. Princess of Hanover at the Prince's Palace on 18 November 2015. April 11, 2015: WFMT Composer Spotlight: Augusta Read Thomas interview with Augusta Read Thomas on WFMT (Chicago). The hour-long program features Seth Boustead interviewing the composer, as well as excerpts from several of her compositions. 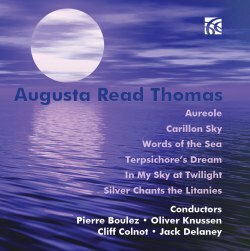 Recording of Thomas's Orchestral Works Nominated for Gramophone Award Augusta Read Thomas - Orchestral Works (Nimbus Alliance NI6258) has been nominated as one of six finalists in the Gramophone Classical Music Awards for 2014. The recording contains her works Aureole, Words of the Sea, In My Sky at Twilight, Carillon Sky, Terpsichore's Dream, and Silver Chants the Litanies, performed by various ensembles including the Chicago Symphony orchestra conducted by Pierre Boulez and Oliver Knussen, Southern Methodist University Wind Ensemble, and DePaul University Symphony. 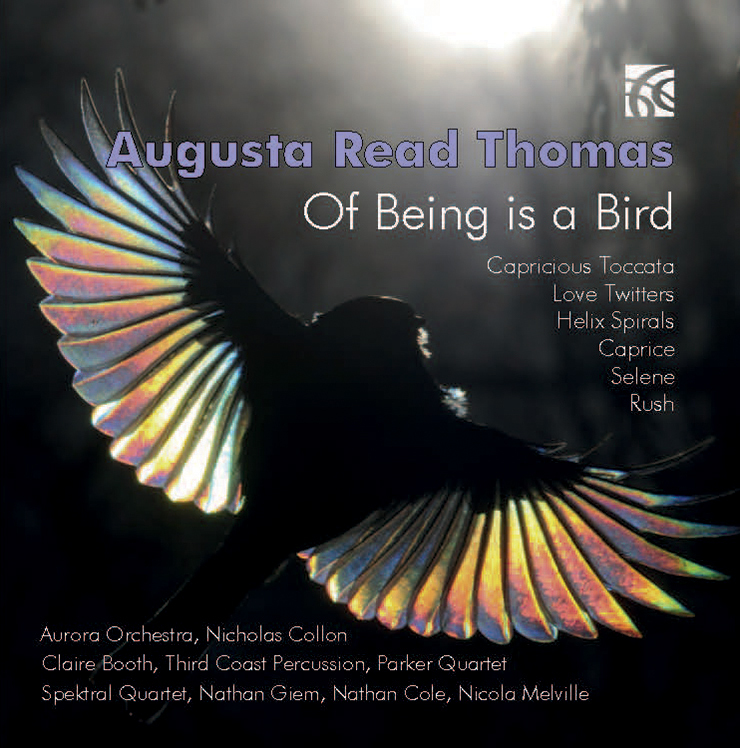 CD Augusta Read Thomas - Of Being Is A Bird was released on April 1, 2016 The new Nimbus Records release, Augusta Read Thomas - OF BEING IS A BIRD (Nimbus Alliance NI 6323), is the sixth in a series presenting the music of the eminent American composer Augusta Read Thomas. CD now available for preorder! Official Release on April 1, 2016. 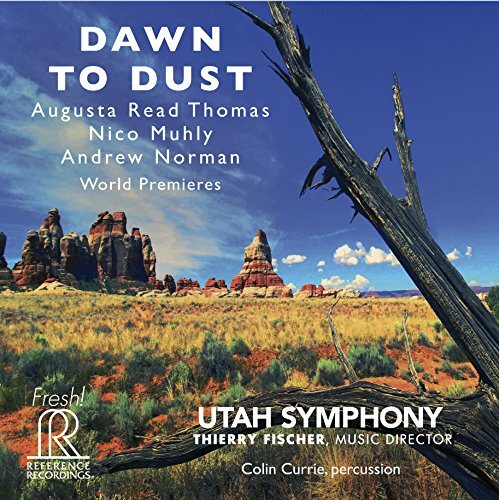 The release of a commercial CD of EOS: Goddess of the Dawn (A Ballet for Orchestra) EOS: Goddess of the Dawn (A Ballet for Orchestra), in honor of Pierre Boulez, commissioned and premiered by the Utah Symphony, Thierry Fischer conducting. CD now available for preorder! Official Release on April 1, 2016. 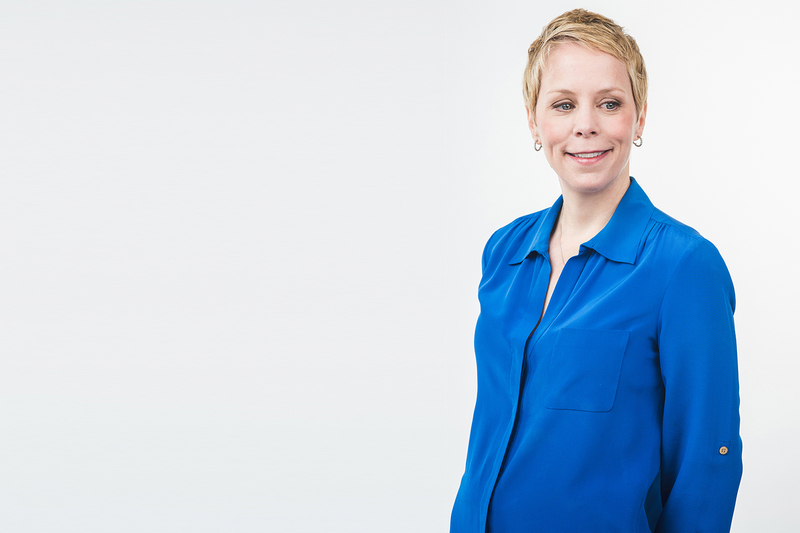 Augusta Read Thomas wins Lancaster Symphony Orchestra's Composer Award Augusta Read Thomas won the Lancaster Symphony Orchestra's Composer Award for 2015-16. This is the oldest award of its kind in the nation, intended "to recognize and honor living composers who reside in the US who are making a particularly significant contribution in the field of symphonic music, not only through their own creative efforts, but also as effective personal advocates of new approaches to the broadening of critical and appreciative standards." Former winners include Howard Hanson, William Schuman, Walter Piston, Morton Gould, Ned Rorem, David Del Tredici, John Corigliano, Joan Tower, and others. 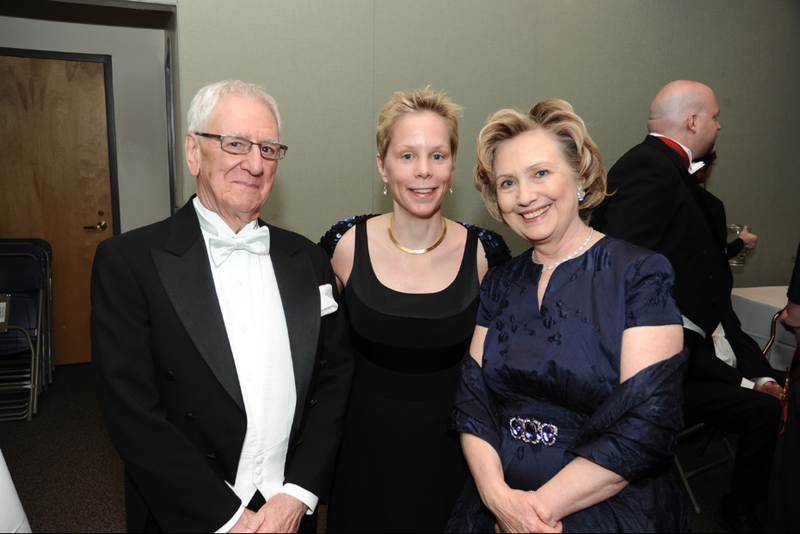 Augusta Read Thomas and Hillary Clinton were awarded The Order of Lincoln from The Lincoln Academy of Illinois and the Governor of Illinois on 3 May 2014 (with Bernard Rands). Lincoln Academy of Illinois Awards Order of Lincoln to Augusta Read Thomas Augusta Read Thomas received the 2014 Order of Lincoln Award from The Lincoln Academy of Illinois, the State's highest honor for professional achievement and public service, in March. Governor Pat Quinn presented the Award to Thomas, as well as to her fellow recipients Hillary Rodham Clinton and Bernard Rands. "Thomas' music, particularly her orchestral music, fairly explodes with an extroverted boldness of utterance audiences and musicians alike find challenging yet immediate. It's music that doesn't sound like anybody else's — music that insists you pay attention." "Ms. Thomas has vivid ear for instrumental color." "Thomas, a prodigious talent, is the most accessible ambassador of the new modernism, and the piece, a fierce and jagged take on the love poetry of Sappho, Neruda, and Flaubert, among others, shines with passion and color." 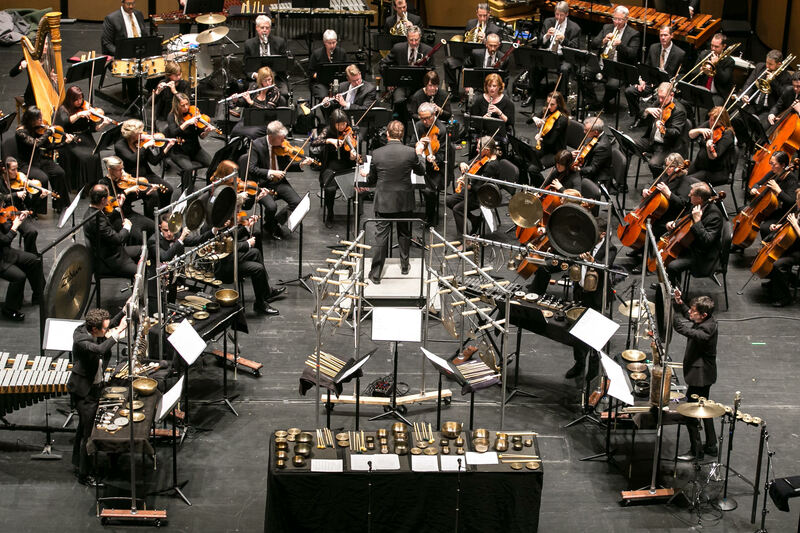 "Thomas' piece...was about 11 minutes of boldly considered music that celebrated the sound of the instruments and seemed to reaffirm the vitality of orchestral music in general." "This young composer...already has amassed many honors, commissions and hearings by major orchestras. It is not difficult to understand why. Her music...is evocative and shows a well-developed feeling for, and a mastery of, orchestral colors."